No later than the end of April, city residents and visitors alike should be able to use a mobile app — or just the wave of a hand — to catch a free ride on a six-person electric vehicle designed to ease traffic congestion in downtown Sarasota. Wait times are expected to be no more than 5 or 10 minutes, and the service will run seven days a week between 11 a.m. and 11 p.m., Steve Stancel, general manager of the City of Sarasota’s Economic Development Department, explained this week. On a unanimous vote during their regular meeting on Feb. 6, the Sarasota city commissioners approved a two-year pilot program with the Gotcha Group of Mt. Pleasant, S.C., to operate six regular “circulators” and one designed to comply with the Americans with Disabilities Act (ADA). When Commissioner Susan Chapman asked whether the circulator would be able to travel to the Van Wezel Performing Arts Hall, the Ritz-Carlton hotel and Selby Gardens, Stancel replied that it would. The vehicles will be limited to operating on roads with speed limits of 35 mph or less, he said, but they will be able to cross roads with higher speed limits. A 2015 circulator study undertaken for the city, Stancel told the board, identified three primary groups of people who would use a downtown circulator: downtown residents, people who work downtown and hotel guests. The most important service areas, that study showed, would be the Main Street business corridor, the Rosemary District and surrounding neighborhoods, and the city’s performing arts venues. The study also indicated the need to make the service available to hotel guests, he added. The total projected cost of the subsidy the city will provide Gotcha will be $338,747.50. The expense for the first year was pegged at $293,496. The city also will pay $19,347.50 for the vehicle that can accommodate persons with disabilities, Stancel explained. If the pilot program does not prove successful, he told the commissioners, the city would keep that vehicle and use it for other purposes. During the circulator system’s test period, Gotcha will lease the vehicle from the city. 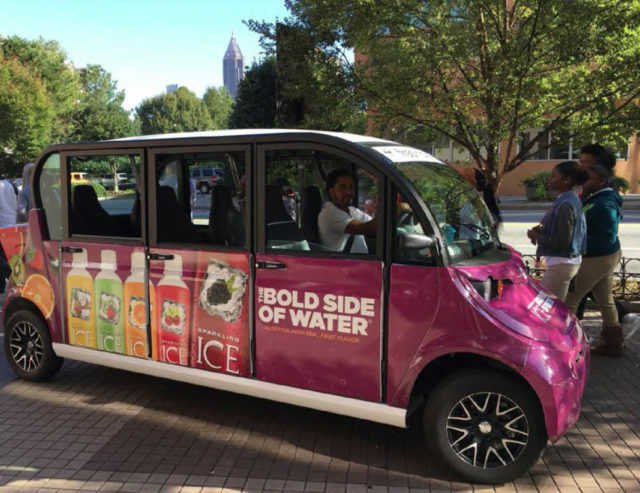 The circulator is expected to pay for itself through advertising outside and inside the vehicles, Stancel noted. City staff’s “very conservative” estimate of Gotcha’s advertising revenue in the first year is $40,000, he added. The city subsidy in the second year was put at $25,904, with anticipation of advertising revenue rising to $215,500. The subsidy will be decreased if more revenue comes in than staff has budgeted, he pointed out. The city has money available from two sources to cover its expense, Stancel continued. The Downtown Community Redevelopment Area Trust Fund has $433,525 that can be used, he said, and another $113,597 has been set aside in a Transit Development Fund. The latter, Stancel added, was a facet of a downtown residential overlay district that has since seen its sunset. The overlay district was designed to allow developers to incorporate extra density into their projects if they paid into the fund. The 2015 circulator study focused on a fixed-route service, Stancel explained, but staff felt that it would be better to allow flexibility for the vehicles to operate as needed in the designated area. 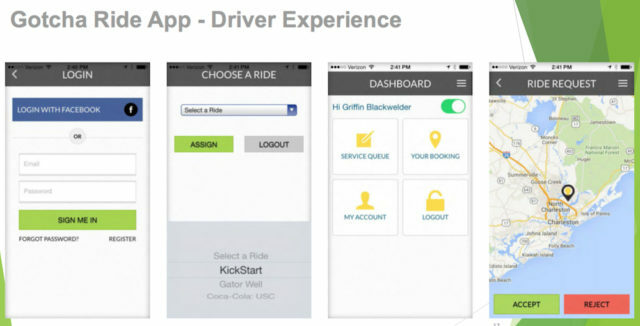 Founded in 2009 at Florida State University, Gotcha has provided more than 5 million rides around the United States with no accidents, Stancel noted. It has partnered with 29 universities, and it operates in midtown Atlanta, he said. Gotcha also has provided service to major sporting events, including an NCAA Final Four competition. The vehicles will be stored and charged in the Palm Avenue garage, he noted. 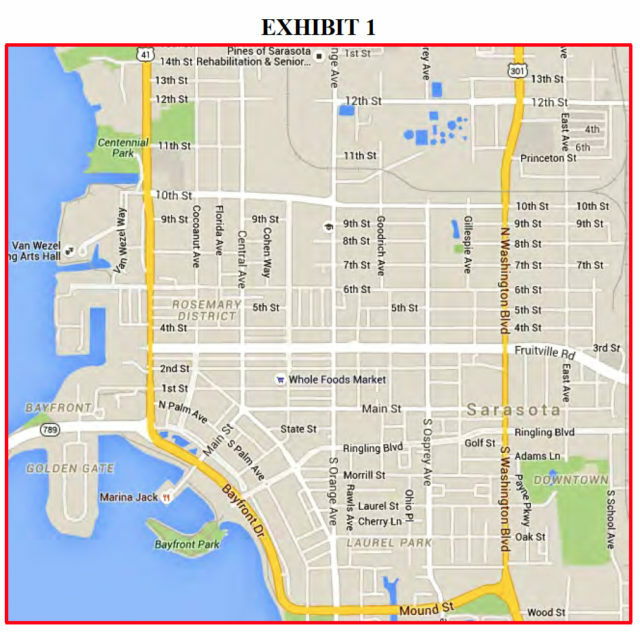 The circulator plan has been endorsed by the Downtown Improvement District board, the Downtown Sarasota Alliance, the Sarasota Downtown Merchants Association, the Downtown Sarasota Condominium Association, the Greater Sarasota Chamber of Commerce and the Community Redevelopment Area Advisory Board, as well as private property owners, Stancel pointed out. 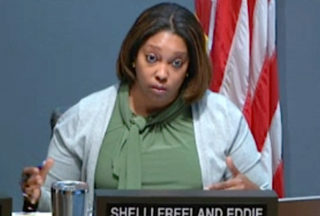 When Vice Mayor Shelli Freeland Eddie asked whether the board would receive a report on operations at the end of the first year of the trial period, Stancel told her it would. Staff also is requesting monthly reports, he added. When she then asked who will determine whether the circulator is making sufficient money to continue operating, he explained that Gotcha will establish its advertising rates. While the firm would prefer one major advertiser, he continued, it is amenable to more than one, if that proves necessary to generate enough profit. The majority of the firm’s employees are dedicated to selling advertising, he noted. When asked about the drivers, Blackwelder said he hopes to recruit Sarasota County residents, as they would be familiar with the best routes to reach riders’ destinations. “The driver’s a big part of the dynamic,” Atwell replied. The comment elicited laughter from commissioners. Perhaps the board members and the public could offer suggestions, he said. Moran said he would like to organize sessions with residents of the Downtown Condominium Association, so they can learn how to use the app.